The President of India, Shri Pranab Mukherjee has congratulated the Indian Space Research Organization (ISRO) for the successful launch of GSLV-Mark III. In a message to Dr. K. Radhakrishnan, Chairman of ISRO, the President has said, “Please accept my heartiest congratulations to your team and you at the Indian Space Research Organization (ISRO) for the successful launch of India’s latest generation rocket-Geosynchronous Satellite Launch Vehicle (GSLV-Mark III), carrying the ‘Crew Module Atmospheric Re-entry Experiment (CARE)’. The launch of GSLV-Mark III is an important landmark in our space programme and demonstrates, yet again, India’s growing capabilities in space launch technology. Kindly convey my greetings to the members of your team of scientists, engineers, technologists and all others involved in this mission. I wish your future endeavours continued success”. The Prime Minister, Shri Narendra Modi has greeted the citizens of Qatar on their National Day. "On Qatar National Day, my greetings to the citizens of Qatar. I am very optimistic about stronger cooperation with Qatar in the coming years", the Prime Minister said. Prime Minister Congratulates scientists for successful launch of GSLV Mk-III. Prime Minister Shri Narendra Modi has congratulated scientists for successful launch of GSLV Mk-III. “Successful launch of GSLV Mk-III is yet another triumph of brilliance and hardwork of our scientists. Congrats to them for the efforts”, said the Prime Minister. The Government is not planning to create separate time zone for the Seven North Eastern States. A scientific study, based on Regional Load Curves and several assumptions, carried out by the National Institute of Advanced Studies, Bengaluru has indicated a modest saving of power between 1.2 to 1.5 % of the total usage in NE Region, which is not very high.Dr. Jitendra Singh ,the Minister of State for DoNER stated this in reply to a question in Rajya Sabha today if in the absence of a separate time zone, the North Eastern States are wasting a huge amount of electricity at home and offices. 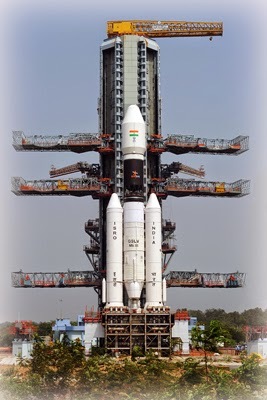 The first experimental flight (GSLV Mk-III X/CARE) of India’s next generation launch vehicle GSLV Mk-III was successfully conducted today (December 18, 2014) morning from Satish Dhawan Space Centre SHAR, Sriharikota. Also known as LVM3-X/CARE, this suborbital experimental mission was intended to test the vehicle performance during the critical atmospheric phase of its flight and thus carried a passive (non-functional) cryogenic upper stage. The mission began with the launch of GSLV Mk-III at 9:30 am IST from the Second Launch Pad as scheduled and about five and a half minutes later, carried its payload – the 3775 kg Crew Module Atmospheric Re-entry Experiment (CARE) – to the intended height of 126 km. Following this, CARE separated from the upper stage of GSLV Mk-III and re-entered the atmosphere and safely landed over Bay of Bengal with the help of its parachutes about 20 minutes 43 seconds after lift-off. Two massive S-200 solid strap-on boosters, each carrying 207 tons of solid propellants, ignited at vehicle lift-off and after functioning normally, separated 153.5 seconds later. L110 liquid stage ignited 120 seconds after lift-off, while S200s were still functioning, and carried forward for the next 204.6 seconds. CARE separated from the passive C25 cryogenic upper stage of GSLV Mk-III 330.8 seconds after lift-off and began its guided descent for atmospheric re-entry. After the successful re-entry phase, CARE module’s parachutes opened, following which it gently landed over Andaman Sea about 1600 km from Sriharikota, there by successfully concluding the GSLV Mk-III X/CARE mission. With today’s successful GSLV Mk-III X / CARE mission, the vehicle has moved a step closer to its first developmental flight with the functional C25 cryogenic upper stage.